A recording of the webinar is available on EDI’s YouTube channel here. Open Science Framework (OSF) is a free and open source platform where researchers can collaborate, share data, show their research process and document their research. 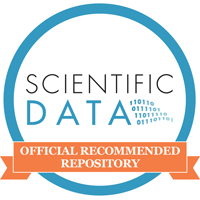 OSF is developed by Center for Open Science (COS; http://cos.io/), a non-profit technology and culture change organization with a mission to improve the openness, integrity, and reproducibility of scientific research. OSF’s command line client , its storage add-ons (integrations with gdrive, box, dropbox, github and more) and its preprint servers like EarthArXiv, a geoscience pre-print that complements AGU’s Earth and Space Science Open Archive (ESSOAr).